"I enjoy being part of a team of people who help to implement new technology. The rewards of our success are priceless. My co-workers are very knowledgeable and I enjoy the fact that I am working with very experienced electricians with a high level of knowledge. I feel I am getting top experience as an electrician." "The safety culture here at Cameco is strong. Safety is always number one and you continually have fellow employees ensuring you are working safely." "I really like coming to work every day and being a part of the team. We have a very positive work atmosphere and a good job does not go unnoticed." Darren works as an electrician in the maintenance control group, which consists of electricians and instrument technicians, at Cameco's Blind River Refinery. 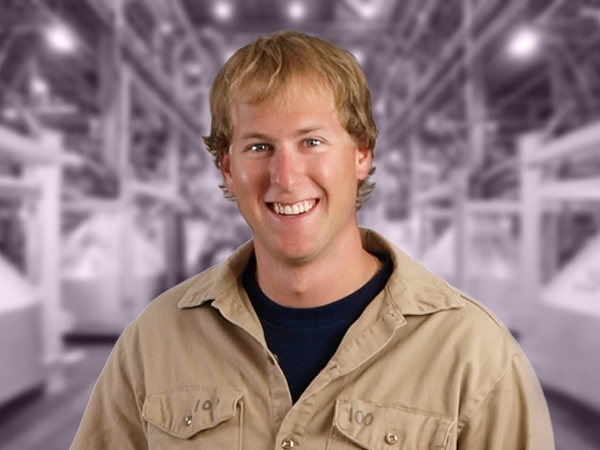 He works closely with senior electricians to obtain more knowledge and experience. In his position he identifies hazards and performs preventative maintenance on critical pieces of equipment. Blind River employees depend on Darren to ensure that the equipment is safe to operate. He is also a member of the refinery's fire brigade.